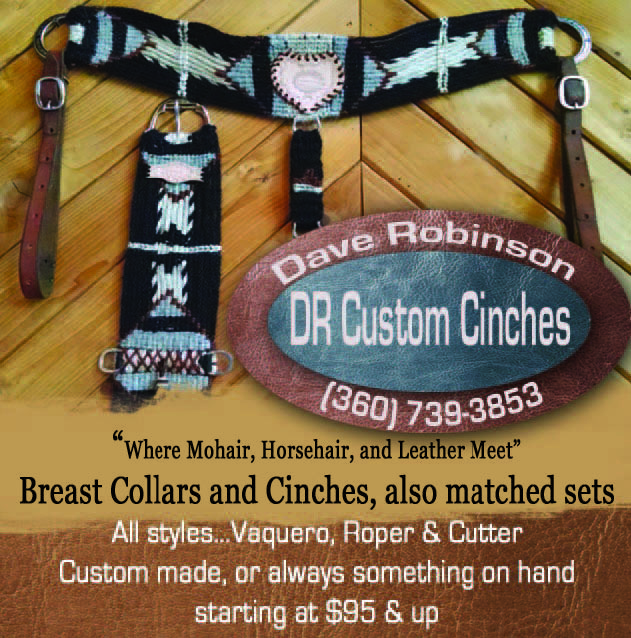 Custom cinches made to order. Using the best materials I can find including Jeramiah Watts engraved hardware. I use brass, stainless, and have some neat stainless roller buckles too. If you have some old nifty cinch rings and hardware I can use that too. The patterns and styles are endless and imagination alone is the limit…brands…initials….designs etc….I base prices off material price plus time involved. See my website and Facebook page for additional images and information.